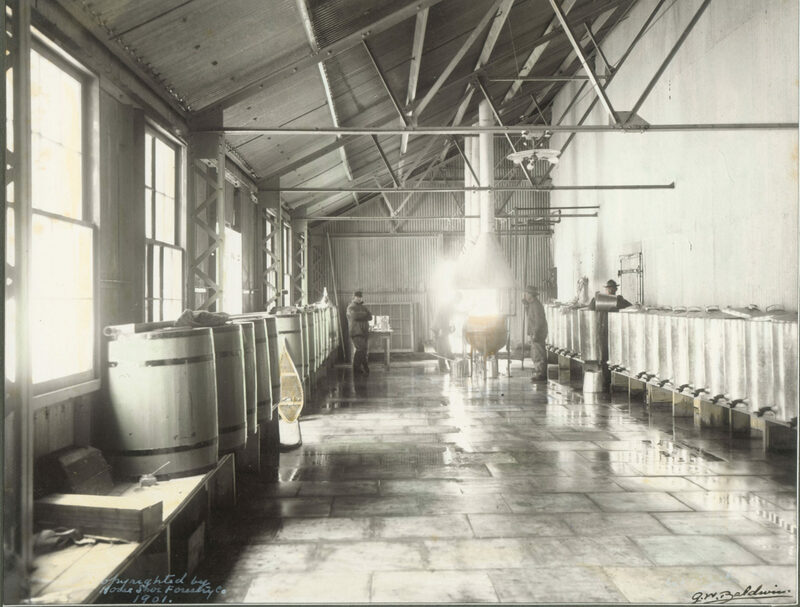 Men process maple sap in the interior of one of the Horseshoe Forestry Company buildings. 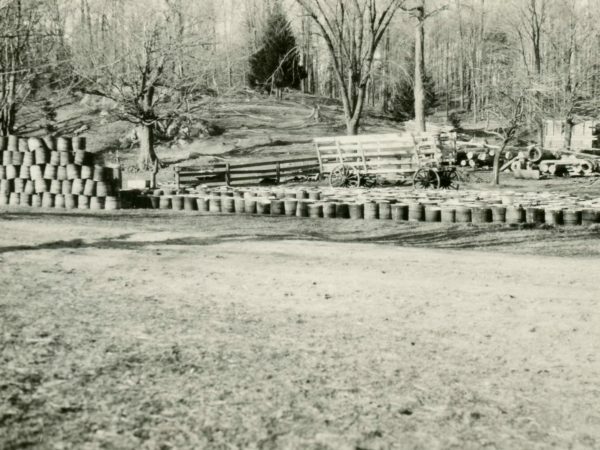 Metal canners with spigots on the right and wooden barrels on the left. 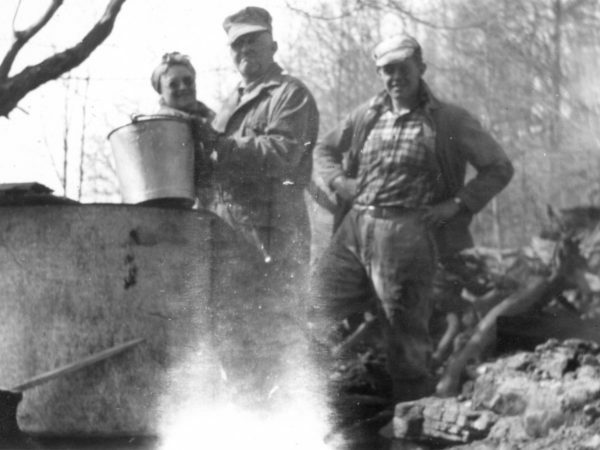 Men are reheating syrup in a boiler. 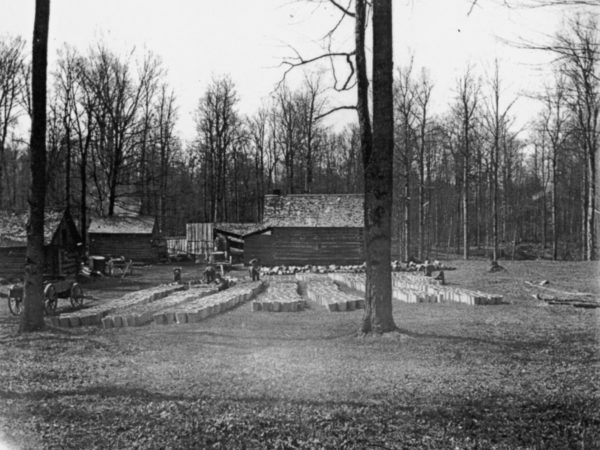 Operations of the Horseshoe Forestry Company. Photograph by George W. Baldwin. 1901. Piercefield, NY. 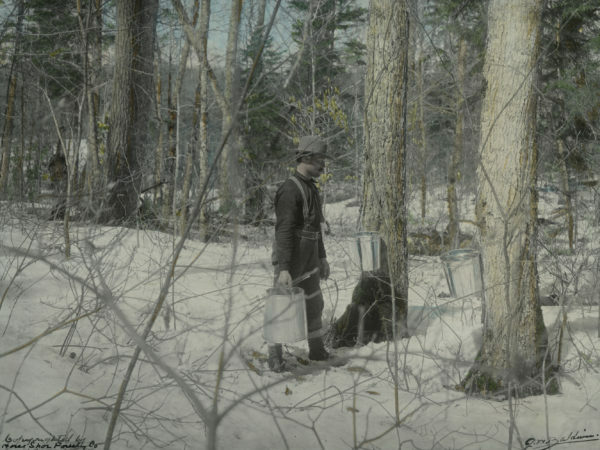 Courtesy of the Adirondack Experience.